Mr. James H. Smith, CBE, CFAL’s Chairman, believes that the path to success is paved with preparation, persistence and performance. 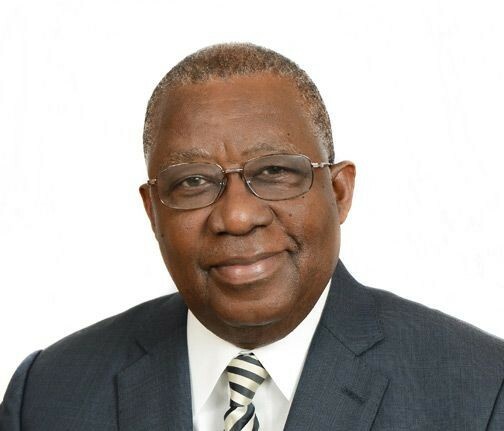 Mr. James Smith is the former Governor of the Central Bank of The Bahamas serving during the period 1987 - 1997. He also served as a Senator and Minister of State in the Ministry of Finance (2002 - 2007). He has held senior positions in the Public Sector including Undersecretary in the Cabinet Office and Permanent Secretary in the Ministry of Finance. Mr. Smith is widely acknowledged as an expert on the local economy in matters of monetary and fiscal policy development and is a respected member of the greater Bahamas community. He has served in several roles, leading Bahamian delegations on investment promotion and trade missions during his tenure as the country’s Ambassador for Trade. He had once served as the Chairmanship of the Negotiating Group on Services in the Free Trade Areas of the Americas (FTAA) process. Mr. Smith has served as Chairman of the Bahamas Maritime Authority, The Paradise Island Bridge Company and The Bahamas Development Bank and as a Director on several private sector Boards. Mr. Smith is committed to guiding CFAL’s executives on the company’s strategic goals providing insight on new and existing operations. He is passionate about business and finance and encourages an exploration of big ideas and transforming them into real solutions, further driving CFAL to the next stage in its development. He also lends his experience to the firm’s major community participation - the Junior Investor Program.